Ep. 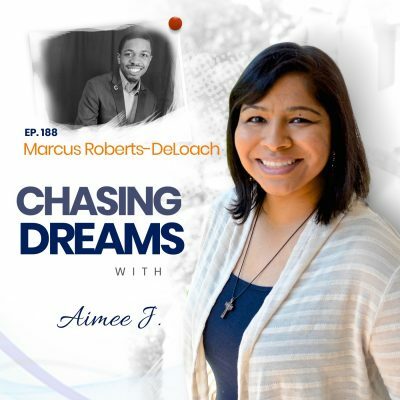 1: Gina J – Running to the Beat | Aimee J.
It’s an uncontested fact that keeping yourself in shape will yield great results in your life and business. And when it comes to chasing your dreams, poor health is one of the things that could derail you. In this episode Aimee invited her sister, Gina, to come and informally chat with her about running as a great way to stay in shape. Even if you’re not a runner or don’t think you are, you can glean a lot from this episode. Maybe it will inspire you to find the type of exercise that fits your preferences and lifestyle. Running isn’t always about finishing with a fast time. It’s really only the top performers or professional athletes that try to finish a race or a course within a certain amount of time. For all you Dream Chasers who are considering running simply to stay in shape, the goal will be very different. You may set your goals by running a certain pace, or by simply finishing the course. Whatever goals you choose, you can improve your health significantly by taking up running. 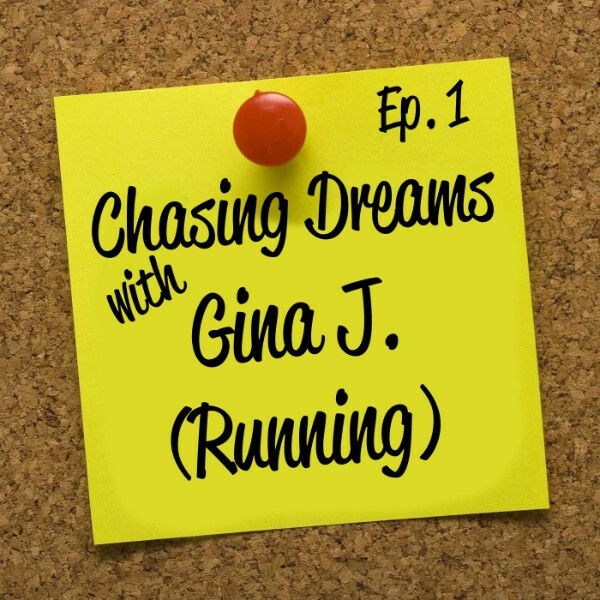 In this episode of Chasing Dreams Aimee chats with her sister Gina about their running journey. Both Aimee and her sister Gina believe that running should be a fun thing. It’s hard to imagine for someone who’s never done much running. You see those people laboring away on the side of the road and wonder how it could be fun. The fun is sometimes in the actual run, but also in the fact that you are learning how to endure. When you’re finished with your run, you’ll feel better and be glad. And you’ll be building up a strong mindset that helps you endure not only your daily run, but other aspects of your life as well. You can become a runner, really. That doesn’t mean you have to be an ultra marathon runner or a person who runs 10 miles every day. You can start by running for one minute, then walking for the next minute, and running for another minute again. There’s nothing wrong with that kind of pace and could be just as effective as running nonstop. Whatever you do, it’s more than you did the day before and more than you would do if you stayed at home on the couch. The point is that you can get started today getting yourself into better shape, and running is one of the easiest ways to do it. 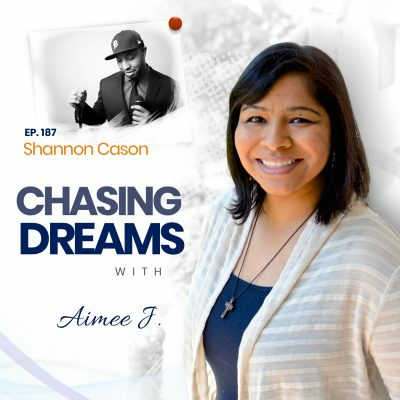 Listen to Aimee and Gina’s tips about getting started on this episode of Chasing Dreams. Just get started – just do it. The more you think about it the more you talk yourself out of it. Use running apps or music to keep your mind in a positive place. Get good running shoes, not what you get at WalMart. Run with someone else: The accountability and companionship make it easier. Modify the way you run. One minute running, one minute walking is fine. [1:13] Introduction to this episode on running! [5:19] Why Gina is on the show even though she’s not a professional runner. [6:40] How Gina got started running: inspiration from the Boston Marathon. [10:26] Different goals in running: and how Aimee J. got started running. [13:44] Listening to your body as you run and how to learn to run. [18:14] Why anyone can become a runner and how to get started. [19:23] A Youtube video that inspired Aimee J. about running. [21:45] The importance of using the proper equipment. [26:13] The best places to run: safe places and etiquette about running. [28:52] Aimee and Gina’s goals for their running. [30:32] Why it’s always a good time to run, and how to do it safely. [34:34] The favorite songs Aimee and Gina use while running. [38:01] Running Apps Aimee and Gina like. [41:30] Signing up for races ahead of time to motivate yourself to train. [42:21] The importance of hydration. [45:43] Summary of the episode. Flo Rida – Right Round – R.O.O.T.S.